← Next Ladder Session – Sept. 13th: A Doctor’s Toolkit! 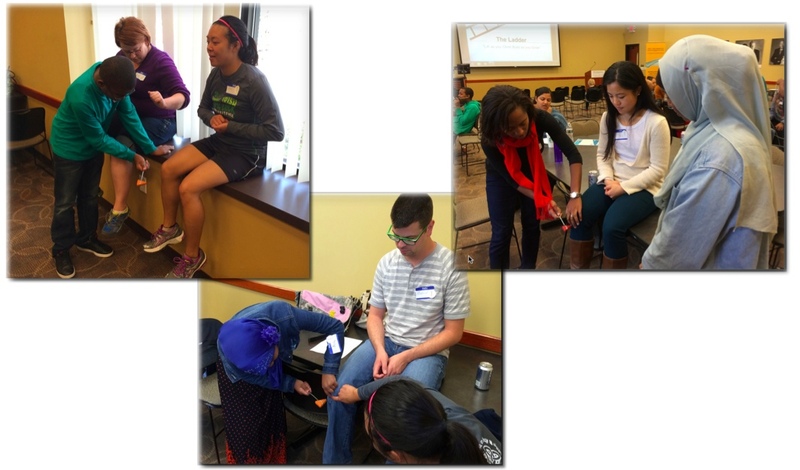 At September’s session of the Ladder, medical scholars of all ages had the opportunity to not only learn about but also to try out some of the core tools physicians use in patient care, including: stethoscopes (<– one of the universally recognized tools of a physician!) sphygmomanometers, tuning forks, reflex hammers (carpenters aren’t the only ones who have hammers! ), and not to be overlooked – one of a physician’s greatest tools: hands! At another station scholars used portable vital sign monitors to check blood pressure, temperature, pulse and oxygen levels. They learned what the concept and measurements of blood pressure actually mean, the difference between systolic and diastolic pressure, and what normal as well as abnormal ranges are for blood pressure numbers. At yet another station, medical scholars had the opportunity to use stethoscopes in various ways. Most everyone is probably familiar with the use of stethoscopes for listening to the heart, but scholars learned that stethoscopes are powerful tools for listening to what’s happening in the lungs and digestive/gastrointestinal system as well. Tell the young scholars in your life, family, school, class and neighborhood about The Ladder – where they can not only develop goals for the future, but be actively supported and challenged to pursue those goals by mentors and resources from the University of MN Medical School, the North Memorial Family Medicine Residency Program, and Broadway Family Medicine. In addition, young scholars will be learning along side and supported by peers from their own communities and neighborhoods in North Minneapolis. The next meeting of the Ladder is Saturday, October 11th (always the second Saturday of the month) at 12:30pm and open to scholars, parents and supporters agers 9 and older. 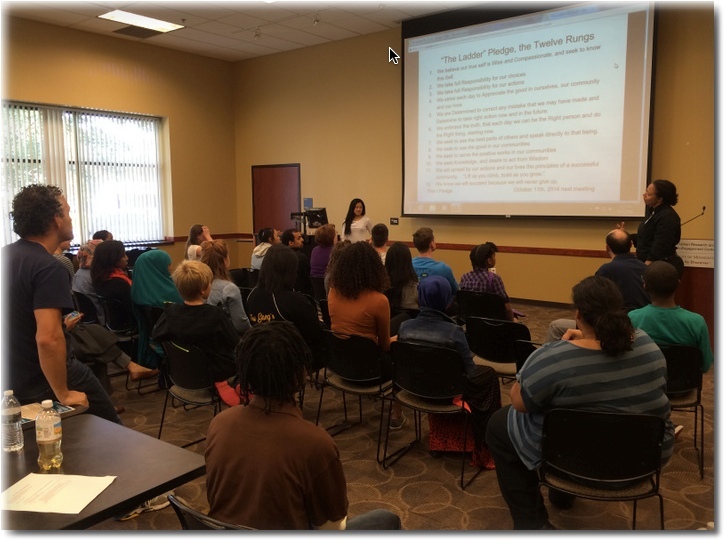 There’s always learning AND fun – plus free lunch! The Ladder meets at the UROC building (2001 Plymouth Ave N) in North Minneapolis. 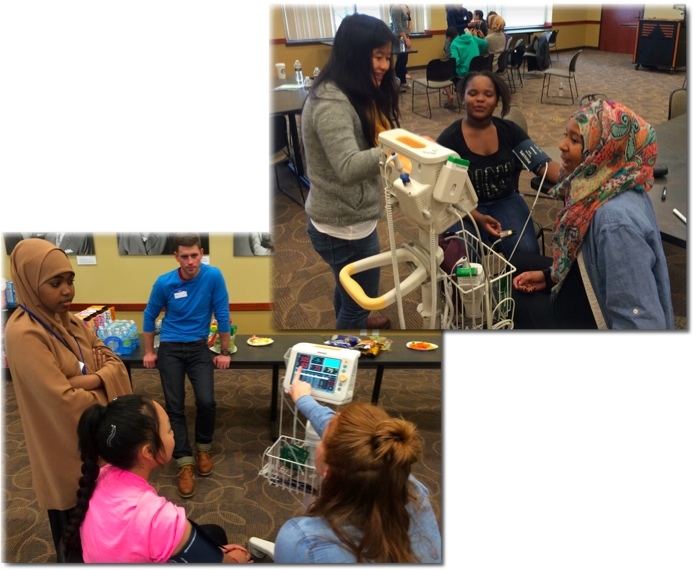 This entry was posted in meeting recaps and tagged cascading mentorship, medical diagnostics, medical mentorship, North Minneapolis, reflexes, sphygmomanometer, stethoscope, The Ladder, UROC, youth development. Bookmark the permalink.